A must for lovers of genuine Australian music. Ted Egan's 26th Album. Here's the second aim. I have always loved the genuine old North American "cowboy" songs. Gems like Bridle Hanging on the Wall, and Home on the Range. I have met the people in the USA and Canada who still love and sing those songs. As a keen student of Australian history, I am aware that my country has a parallel tradition to that of North America. In this album I present some songs in the hope that I can establish and reinforce that counterpart. The biggest movements of cattle ever known in the world took place in Australia in the years 1880 to 1950. Overlanders like Nat Buchanan, the Duracks and the McDonalds ventured from the southern states north and west with hundreds of thousands of cattle, and established the big cattle empires that we call "stations". Victoria River Downs Station, affectionately called VRD, or "The Big Run" was, in its heyday, 50,000 square miles in area. In subsequent years the progeny from those stations were walked back thousands of miles, across the driest continent in the world, to the southern markets. 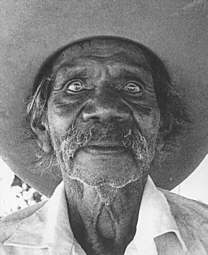 The drovers were men and women, black and white, and they put up with absolute privation and hardship as they challenged the tyranny of distance and battled the elements. Australians can be justifiably proud of the deeds of those working-class pioneers. In this album I pay tribute to many of them. For what I call the "outback" songs on this album I am fortunate to work principally in collaboration with my old mate Bruce Simpson, a legendary cattle drover himself, and one of Australia's finest ever bush poets. Bruce thinks I am smart because I occasionally put tunes to his poems. The listener will spot that my voice and my simple tunes are enhanced totally by the power, the beauty and the authenticity of his words. Nobody has ever represented the Australian outback as accurately as Simmo. And then to give a bit of variety I have included a few "different" songs. I hope they please the listener. 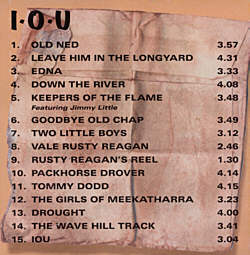 I am thrilled that I release this album for 2002, The International Year of the Australian Outback. And I intend also to release it in North America, for my cowboy mates. Cheers! 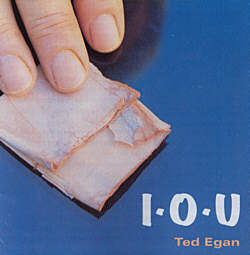 www.tedegan.com.au is the official web site of Ted Egan, © Ted Egan 2003.